Today was the day of CicLAvia. 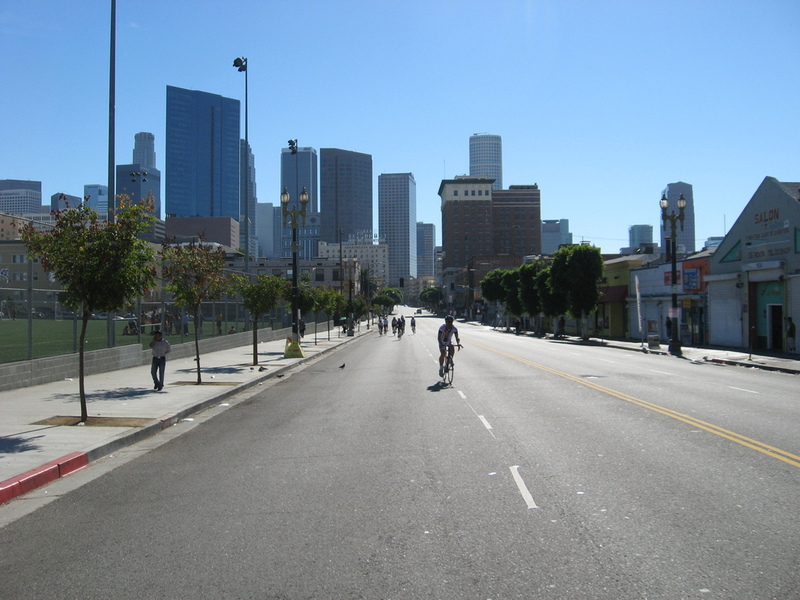 They closed 7 1/2 miles of Los Angeles streets to cars and let the bikes run wild. When I heard about this, I thought it would make for an interesting addition to the Sunday morning ride. 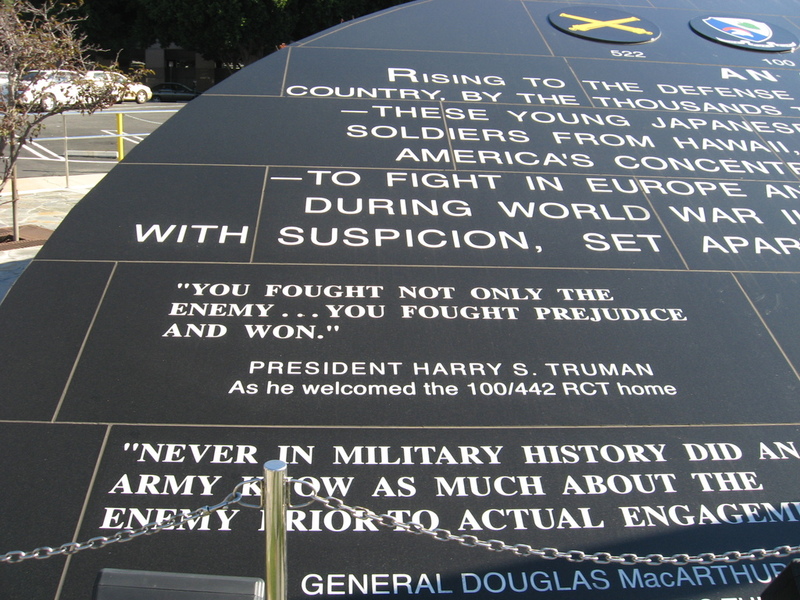 And as it turned out, the route worked out well for a bit of sightseeing involving monuments to the 442nd Infantry. This was the Japanese-American unit in World War II. They were one of the most-decorated units in U.S. history. Was that just another case of typical Asian over-achievers? It was a perfect day for riding. 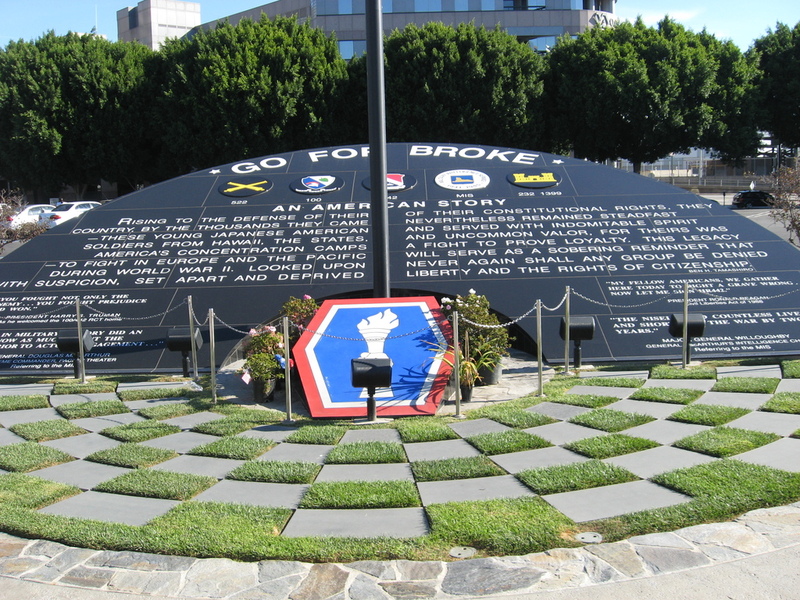 The route started in Boyle Heights, so we headed out from Pasadena, going south into Rosemead, and then over to East L.A. 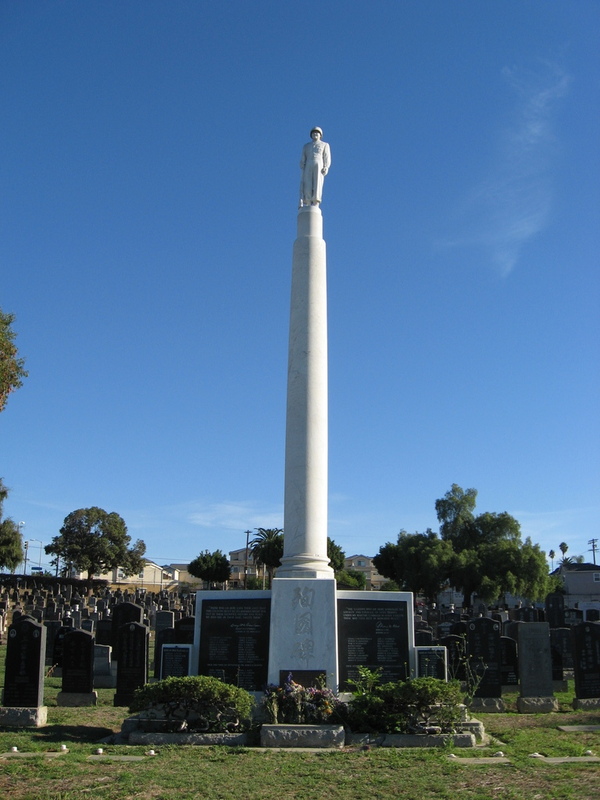 When we got there, we stopped at Evergreen Cemetery to see the memorial to the 442nd there. Then we headed over the Hollenbeck Park, which was the start of the CicLAvia route. The mayor was supposed to be giving a speech, but they said he wouldn’t be there until later, so we headed out. We rode into downtown and Little Tokyo. 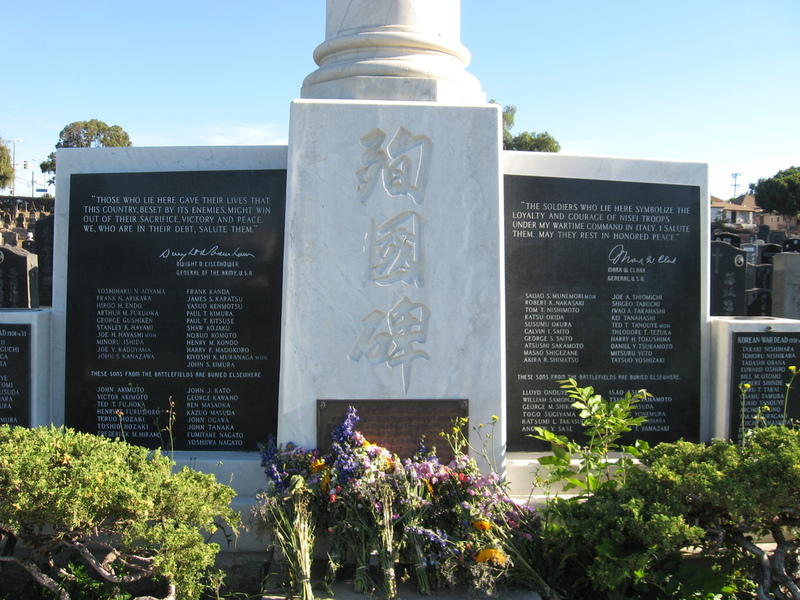 There, we stopped at the monument to the 442nd next to the Japanese American Museum. Then we rode across downtown and out to Mac Arthur Park. The route went north from there into the east end of Hollywood, where it ended. We turned around and rode back along the route to near Mac Arthur Park, where we turned up Benton Way. We took that up into Silver Lake. Our snack stop was a LA Mill Coffee. 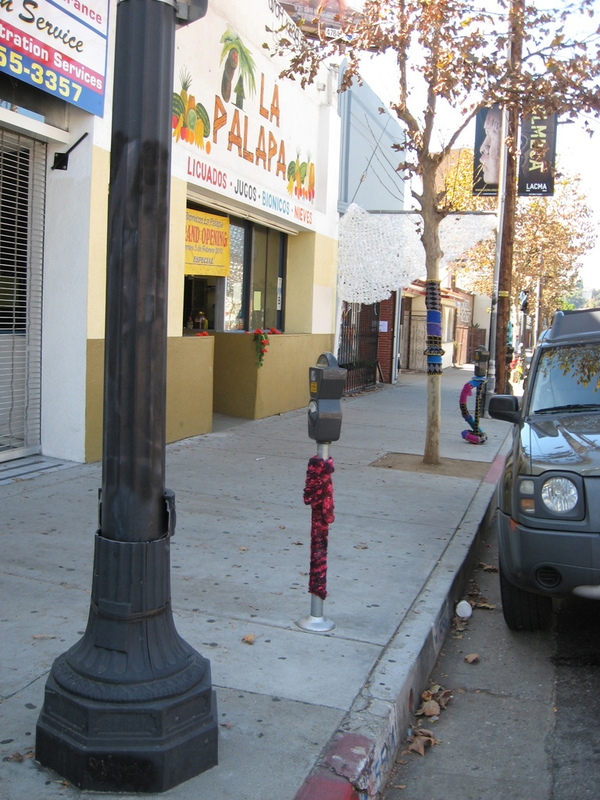 Then we headed home by way of Figueroa St. 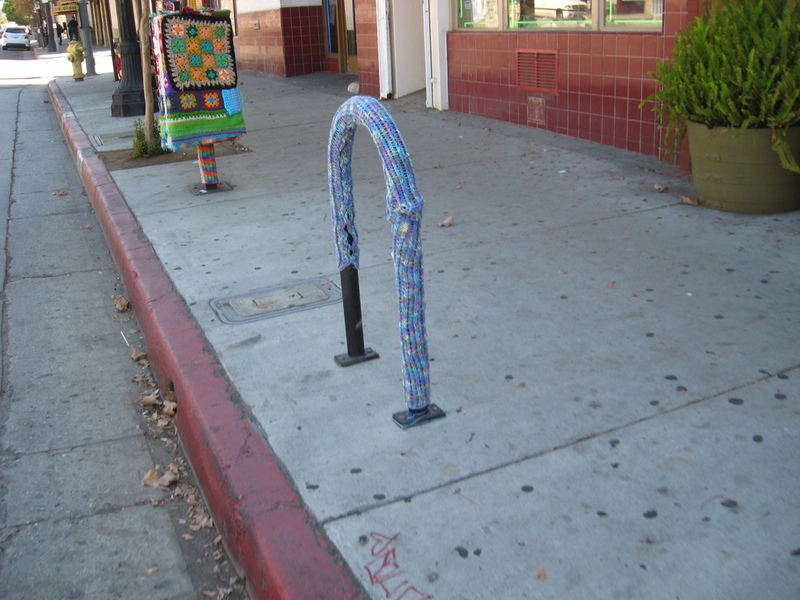 In Highland Park, we saw an art project where someone had knitted covers for parking meters, signal boxes, and other things that are on the side of the street. Coming home through San Marino, GT got a flat. This marks his first appearance in the Flat Tire Gallery. 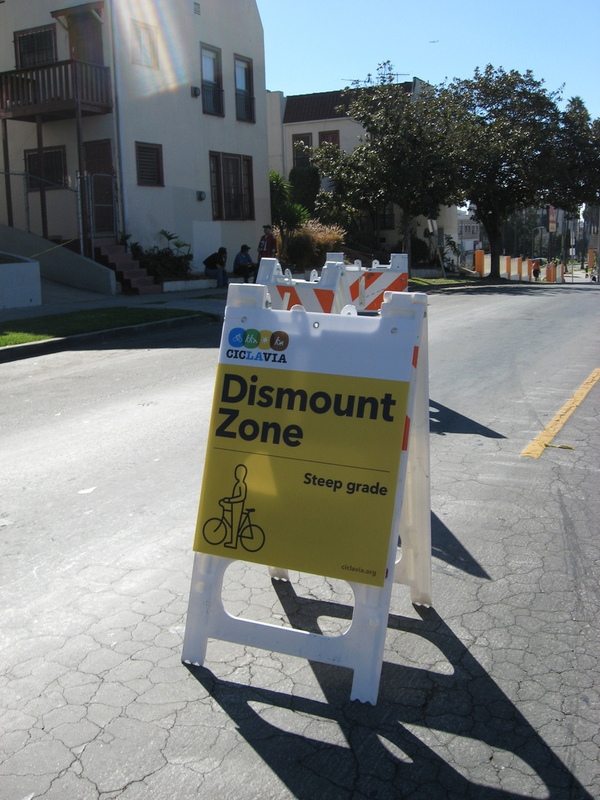 It was a fun ride, and we’re hoping to see more events like CicLAvia in the future.